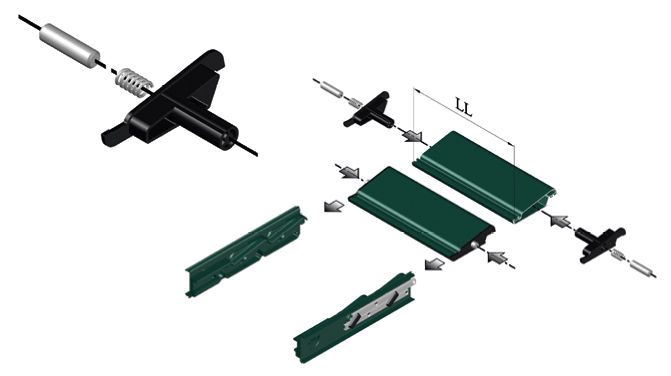 Armoring system that allows the shutter to be safer than usual, as it ensures a better resistance against break-ins. Furthermore, BL55 / 60 allows you to place louvers on the closed door mechanism. It is supplied with 2 steel rods which are pre-cut to measure, 2 springs and a pair of plastic caps. For the louver cutting (LL) see table Fig. 1. 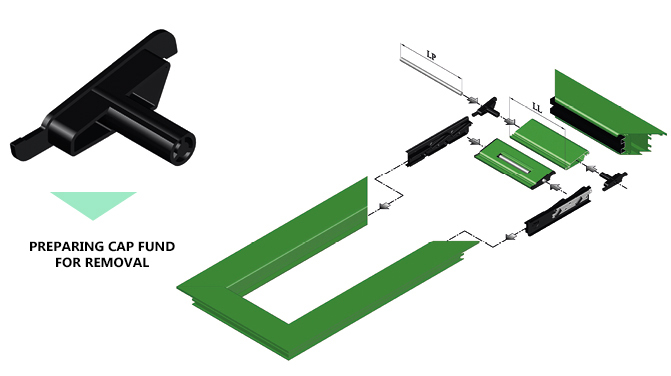 Armoring system that allows the shutter to be safer than usual, as it ensures a better resistance against break-ins. 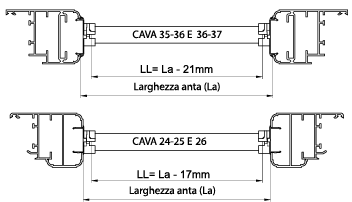 BL55-1 / 60-1 should be installed with the door open on the (top or bottom) side to allow the inclusion of the mechanism in the profile’s groove. It is supplied with 2 steel rods which are pre-cut to measure and a pair of plastic caps where the rods are inserted. 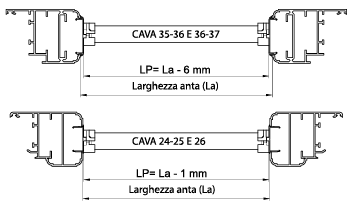 BL55-2 / 60-2 should be installed with the door open on the (top or bottom) side to allow the inclusion of the mechanism in the profile’s groove. It is provided with a pair of plastic caps that, during the assembly, should be deprived of their bottom, where a steel rod should be inserted into the louver (supplied in 3 meter bars). For the louver cutting (LC) see table Fig. 1, for rod cutting (RC) see table Fig. 2.